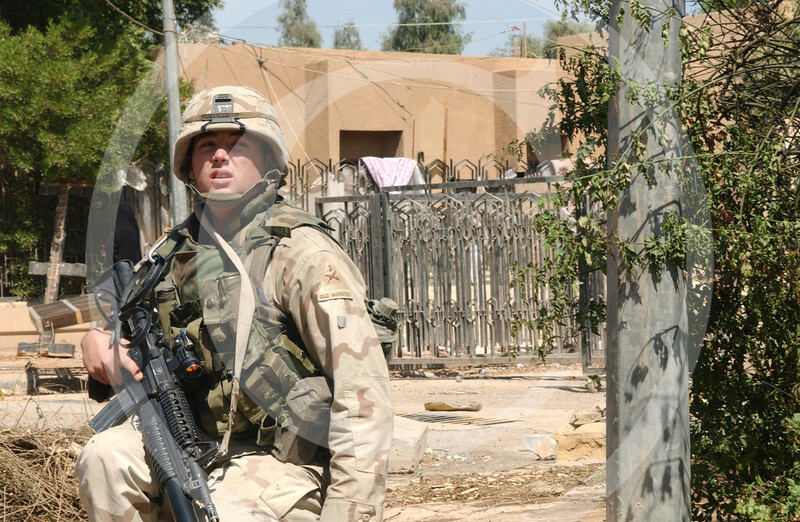 American soldiers patrolling the Baghdad sreets in 2003. Thank you for visiting this gallery! American soldier walking the street in Baghdad.